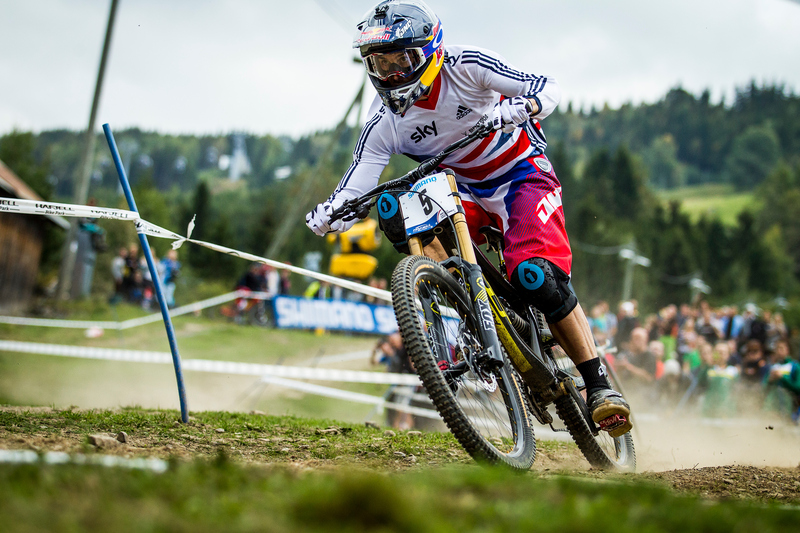 The Golden Age of British downhill mountain biking looks set to continue after British Cycling named a star-studded 29 person squad for the mountain bike World Championships 2015 in Vallnord, Andorra. The World Championships are a one-off race, not related to the World Cups, to decide who will wear the Rainbow Jersey for the next twelve months. Last year, Britain won both the men’s and women’s downhill World Championships. Heading up the squad will be last year’s champions Gee Atherton and Manon Carpenter. They both took the top step in Hafjell, Norway, after two exciting races. They will be joined by former World Champions Danny Hart and Rachel Atherton. The women’s squad is completed by last year’s third placed rider, Tahnee Seagrave and former 4X World Champion, Katy Curd, who is racing her first year of World Cup downhill. The men’s team is also star studded and includes last year’s runner up, Josh Bryceland alongside other exciting talents such as Brendan Fairclough and Mike Jones. There is also a junior squad led by Laurie Greenland. Annie Last is the only senior cross-country rider that Britain will be taking to the Championships. However, Grant Ferguson will be expected to do well in the men’s under 23 race. British Cycling technical director, Shane Sutton, said: “We’ve selected a strong squad for this year’s World Championships with some experienced riders in the downhill categories especially. We’re enjoying a golden age of downhill racing in this country and I hope to see this continue at the worlds.